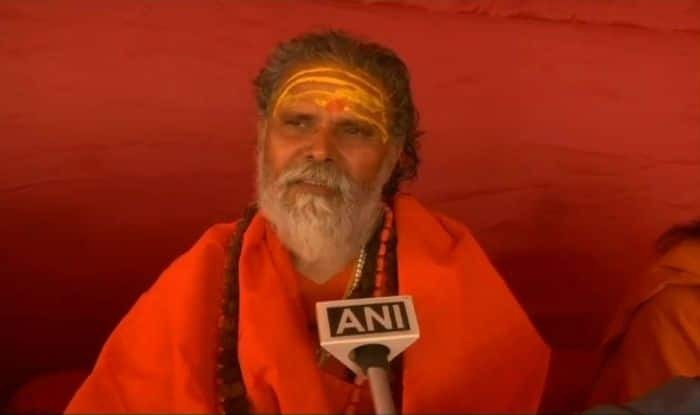 The Akhada Parishad President on Sunday claimed that all the saints will gather in Ayodhya after Kumbh Mela 2019 ends and begin the construction of Ram Temple. New Delhi: The Akhada Parishad President on Sunday claimed that all the saints will gather in Ayodhya after Kumbh Mela 2019 ends and begin the construction of Ram Temple. Hitting out at the Bharatiya Janata Party (BJP), he said that the party wants to keep the issue alive for upcoming Lok Sabha Elections 2019. “After the end of Kumbh Mela, we have decided that all saints will meet in Ayodhya & construction of Ram Temple will start. BJP is not interested in constructing Ram Temple as they want to keep this issue alive for election,” Narendra Giri said. The Akhada Parishad President’s statement came days after the Rashtriya Swayamsevak Sangh (RSS) executive head, Bhaiyyaji Joshi, expressed confidence on the completion of Ram Temple construction in Ayodhya by Kumbh 2025. “When Kumbh is again held after six years in 2025, the construction of Ram temple, which is a symbol of India’s national honour, will be completed and the nation will move towards prosperity,” the RSS spokesperson Arun Kumar, in a statement issued by the Sangh, quoted Joshi as saying. Joshi’s statement came over 15 days after Prime Minister Narendra Modi made it very clear that an ordinance could be brought in only after the judicial process was completed. Earlier in the day, in a warning to ruling BJP, the VHP asserted that it is open to backing the Congress in the polls, if the grand old party promises to build Ram Mandir in Ayodhya in its poll manifesto. “The Congress has closed all its doors for us, but if they open their doors and include the Ram Mandir in their manifesto, we may think of supporting the party,” VHP’s working president Alok Kumar reportedly told media. However, he later retracted his comments and claimed that he was extending the offer to all the political parties fighting in 2019 and not specifically to the Congress. The Ram Janmabhoomi-Babri Masjid land dispute is scheduled for hearing on January 29 in the Supreme Court.